There are many friends in your Friend list on Facebook, with whom you want to keep your posts hidden or you just want to share your post with some selected friends, not with all. 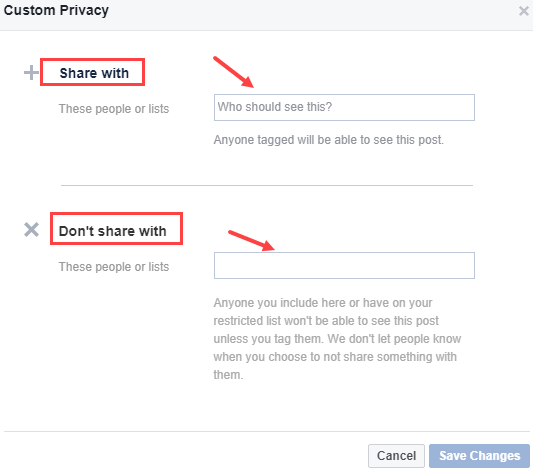 Yes, you can show or hide your fb post with specific person. Facebook takes full care of your privacy you just need to know about them. 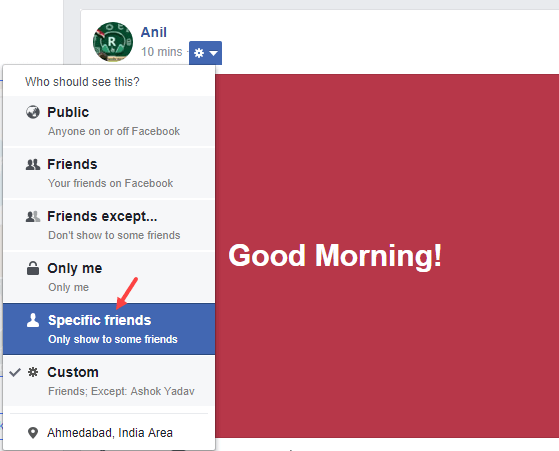 Today, in facebook tips, we are telling you how can you stop a friend from seeing your posts on Facebook & how to show post only with selected friends. There are many privacy options on Facebook which allow you to control who can see your post and who can’t. 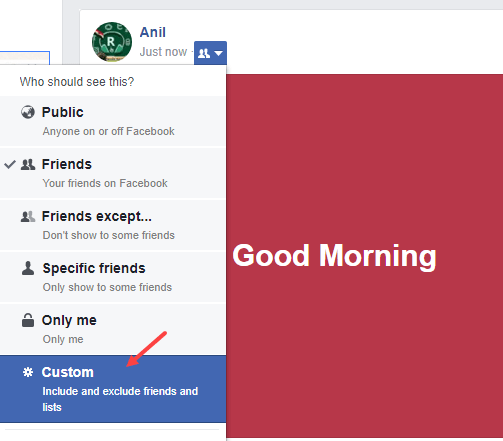 You can exclude a particular friend so that he can not see your post or include selected friends who can only view your timeline post. 2: In the sharing options you have to click on Friends Except. 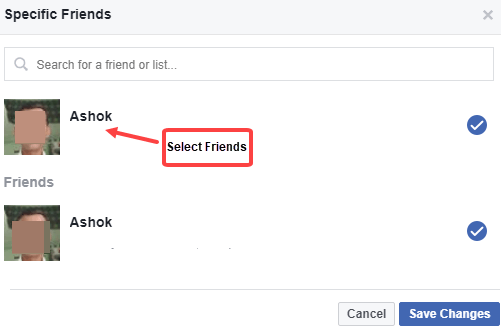 3: Now you have to select the friends with whom you do not want to share your post. Select Friends and click on Save changes. Now the friends you have excluded will not be able to see your post. 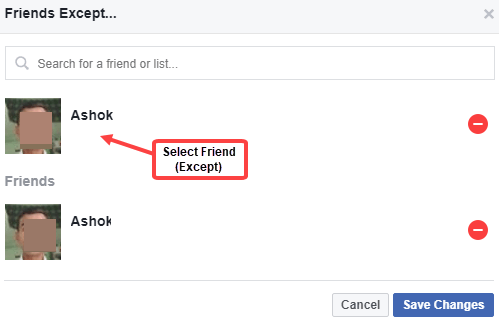 1: In Sharing option click on Specific Friends. 2: Now select those friends with whom you want to share your posts. After selecting all the friends, click Save changes. Just share your post now. Your post will only be visible to those with whom you have shared. 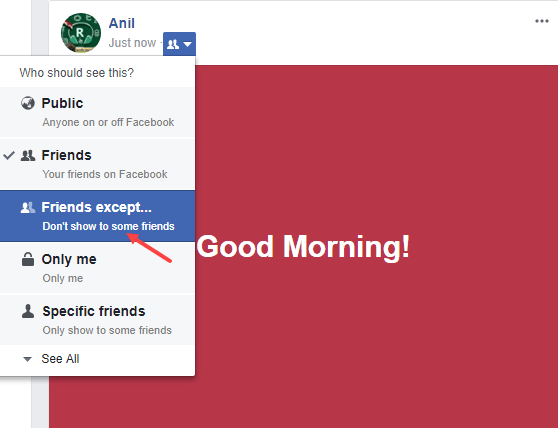 You can use this option to include & exclude friends before sharing your post. 1: In the post sharing options, you have to click on Custom. “Share With” — you can add those friends with whom you want to share post. “Do not Share With” — add those friends whom you do not want to share post. So in this way you can manage the privacy of posts in your timeline. These privacy options available on facebook official application too.